First in New Zealand! See your Kitchen design in VR! 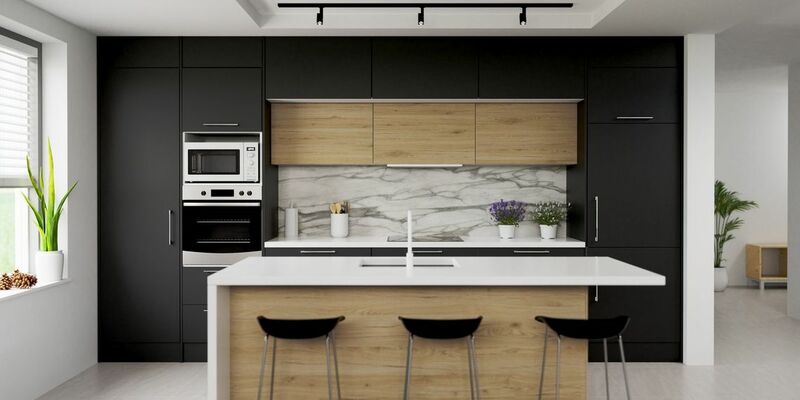 Here at Kitchen Cabinets and Stones we have one main showroom located in Albany, Auckland. This is also the location of our warehouse, where all our products are stored and where orders and products are dispatched from. Our staff at the showroom are more than willing to help you choose a kitchen style and work with you on possible design ideas. No bookings necessary! To help make the decision making process easier we have a large range of our products on display. This includes our Julia High Gloss White range, with corner cabinets, pantries, base cabinets/drawers and wall cabinets on display. There is also a display of our more economic Niki range, where you can see the quality and get an idea of sizing. Our most impressive display range by far however is our Euro range, which fills most of our showroom space, allowing us to showcase the different colour options, and have our more interesting and popular units on display for you to interact with. WHICH KITCHEN RANGE SHOULD YOU ACTUALLY BUY? 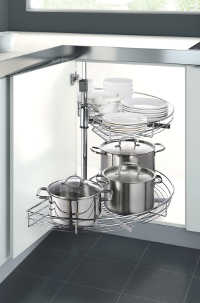 Perfect for a kitchen on a tight budget, rental properties, laundries and garage storage. Perfect for those looking for an affordable kitchen that still looks and feels high end. 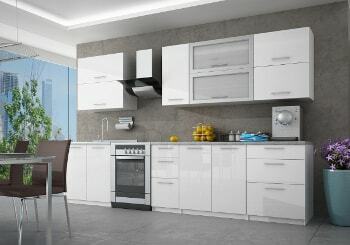 Perfect for those looking for a superior quality, durable kitchen for their home. Niki is a more economic system. It comes with plastic handles, adjustable feet, standard drawers and hinges. 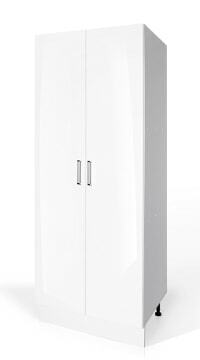 Doors are made from satin white standard melamine board with PVC edging. There is a smaller range of cabinet sizes available in this range, but for a price that is cheaper than some second had cabinets Niki is perfect for a kitchen on a tight budget. It is fantastic for rental properties, second kitchens, laundries or garage storage. Julia range is our best-seller and comes in the very popular high-gloss white finish, which is currently the number one kitchen finish in New Zealand. Julia comes with MDF thermal wrapped foil doors, stainless steel handles, adjustable feet and Soft Close door system. The Julia is perfect for first home buyer renovations, people renovating for selling their home, higher end rental properties and for those looking for an economical kitchen that still looks and feels high end. Euro is our premium system. 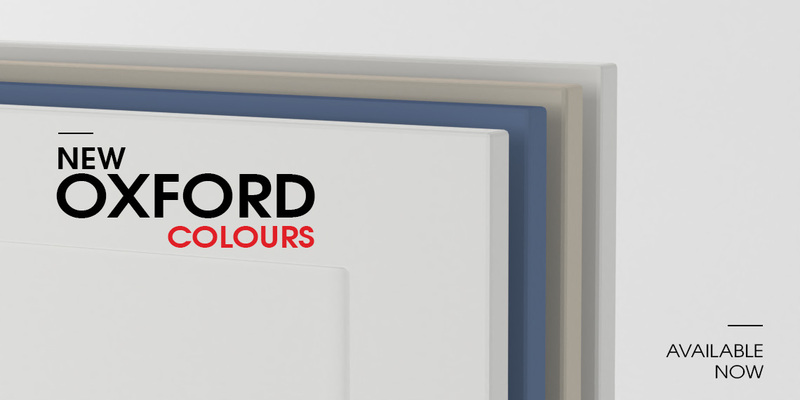 In the Euro system the doors and cabinets are packaged separately which allows us to offer you a wide range of different colour options. 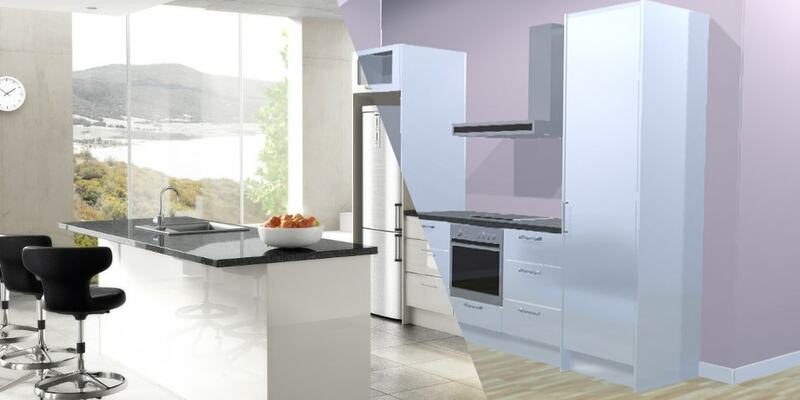 The colours are available in both high gloss and matte finishes, which allows for a modern high gloss kitchen look as well as a classic cottage or rustic look with the matte finishes. You have the option of different handles including the very streamlined look with recessed handle, or the use of latest engineering of the "push-to open" no handle system. The cabinets are made from 16 mm HMR moisture resistant board with solid 16 mm thick back. It also comes with German made Wurth adjustable feet with 400 kg load, Italia made soft close hinges and fully extendable soft close metal runners which have a 50 kg load capacity. 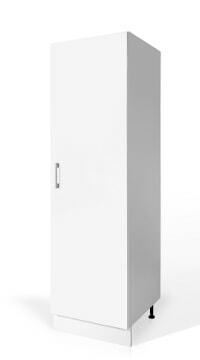 The Euro range has a vast rage of cabinet size options available including several corner solution accessories. 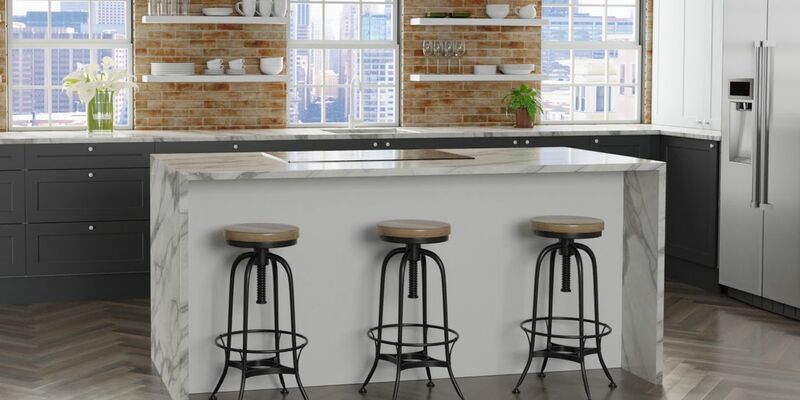 If you are looking for a high quality kitchen that will last for years to come, will look so good you can't help but show it off then the Euro range is for you. 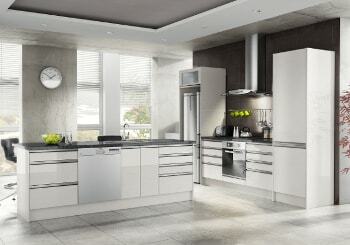 We have a variety of kitset kitchens on offer from our two most popular ranges, Julia and EURO. 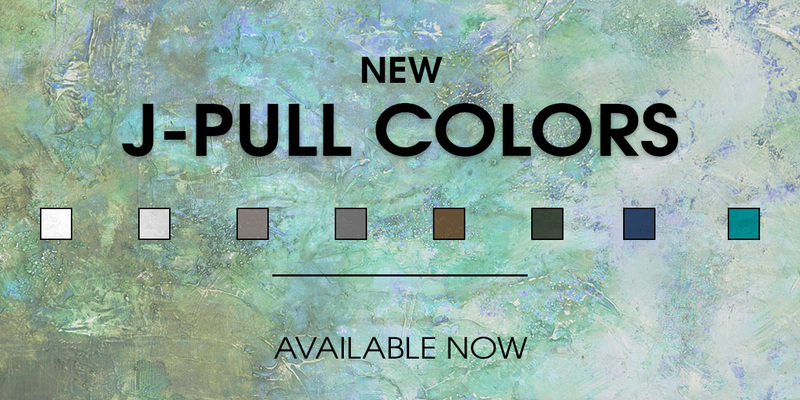 These each have different cabinet finish options as well, ensuring you have a wide variety of options to choose from. The design style that you select will heavily influence your choices in selecting any of the other elements in the kitchen. A good idea in the planning stage is to start by collecting magazine photos of kitchens to get a feel for what you do and do not like. They will give you great ideas for all things kitchen related. Our cabinets have many different styles and finishes on offer. 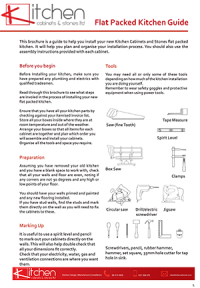 If you cannot find a kitset that suits your needs or if you wish to add on to a kitset, all of our ranges are available to purchase as separate cabinets as well. Their high quality and stunning looks are just some of the trademarks of our sinks. Our wide variety of styles, finishes and sizes allows every customer to find a sink that suits their needs. Our range includes granite, stainless steel and ceramic kitchen sinks. All of our models come with a universal 3.5-inch drain and fittings that allow for easy installation including waste and overflow fittings. Our kitchen taps combine modern technology and design solutions with high quality finishes and components. All of our taps come with a 7-year warranty and a ceramic head. Our broad and diverse collection of taps make it easy for every customer to find a tap that suits their function and design needs. Want more our videos? Go to our Youtube channel! Q: What's the difference between Julia and Euro high gloss? 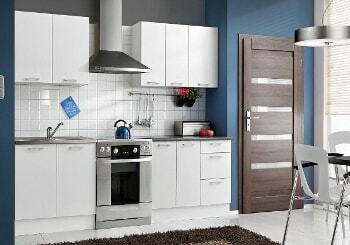 A: High gloss white finish doors are the same for both Julia and Euro systems. The bodies are different. Please see cabinet descriptions. Q: How do I work out what fillers and panels I need? A: Fillers are used to fill spaces between end cabinets and walls, create additional spaces between cabinets or between cabinets and appliances for drawers and doors to clear, and close up odd gaps. Panels are required when you have a unit that is at the end of a run and can be seen. It is required to cover the side of the unit/carcass and will match the colour of your doors. 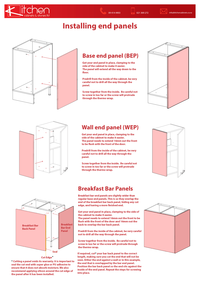 There are various types of end panels – base (BEP), wall (WEP), tall (FEP or TEP) and microwave cabinet end panels. Q: What material it is made from? A: The doors for Julia and Euro systems are made from thermo-wrapped foil on 16mm MDF. The doors for Niki are made from melamine with PVC edging. The cabinet bodies for Niki and Julia are made from standard furniture board. 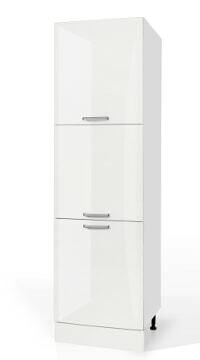 The cabinet bodies in the Euro system are made from HMR (highly moisture resistant) board. Q: What warranty do your Stone Bench tops come with? A: Our stone bench tops have a 5 year warranty on workmanship of the joins and should the stone crack through no fault of your own. The stone surface is heat and stain resistant, however if you chip or deeply scratch the surface it will not be covered by warranty. 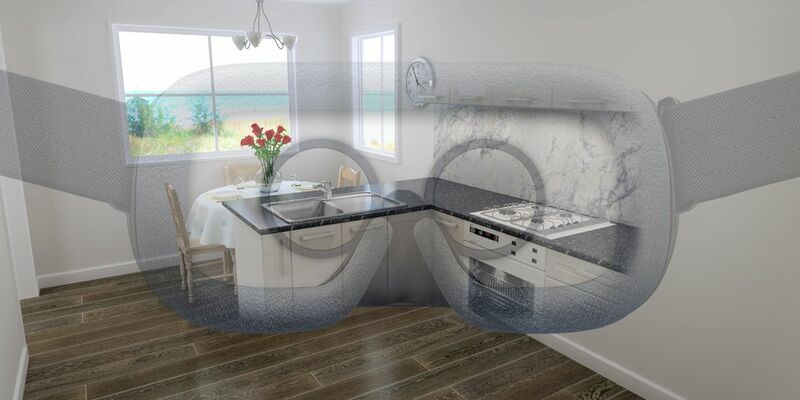 If you have damaged the surface, it will be less protected, especially for granite tops. In this case it is possible for stains to seep into the stone if not cleaned up. Q: Do you provide a plan and measure service? Excellent company to deal with. I had quite a few questions before I bought the entertainment unit and they were very quick to respond. The unit was delivered really quickly and it is gorgeous. Highly recommend this company to potential purchasers. My local DIY store quoted me over $10000 for this kitchen that I got from Kitchen Cabinets and Stones Limited for under $6000. The quality and finish on the doors is amazing and it was real easy for me to assemble and install myself. Thank you! Thank you Kitchen Cabinets we are so happy with the great service we received, we love our kitchen. We would highly recommend your products to others. 가격도 마음에 들고 직원도 아주 친절합니다. Prices are holding in mind the staff is also very friendly. Fantastic product at an unbelievable price. Super fast delivery. Highly recommended. 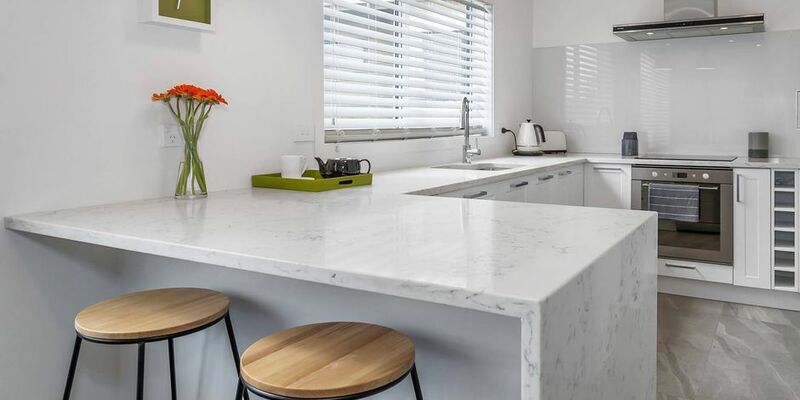 We’re thrilled with the way the kitchen & bench top are looking & it has been a delight to deal with you as everything has been clear, correct, on time and no dramas! I wouldn’t hesitate to recommend you and would gladly buy from you again! Thank you for our great kitchen, we are so happy with it, the cabinets were real easy to assemble and install and the High gloss thermal wrapped looks stunning. We are very happy with it! Fast and friendly communication. Kitchen cabinets extremely well packaged and exactly as described, couldn’t be happier! The cupboards arrived this afternoon and I had assembled them and put them on the wall before 5pm. I was extremely pleased with the quality at such a reasonable price and the ease of assembly. Thank you for your prompt service, I will recommend you when possible. The cabinets arrived within 2 days of payment, all well packed. They were real easy to assembled and come in over $4000 less than any other quote we had. We love the soft close system and the High gloss white works real well with our black granite. Thank you for all your help. Went to great lengths in trying to get a good price in freighting goods. Very helpful & easy to deal with, thank you be happy to trade again! Received the latest units I have ordered in good order and installed. Fits perfectly. Thanks. Every handyman can do the job. I recently purchased 2 sets of draws & cupboard unit in the Euro style. This was my first time at flat packing and I was very pleased with myself. 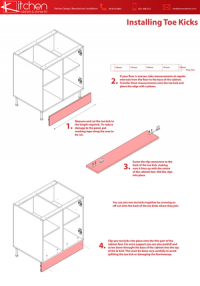 I only had one small problem inserting the auto close draws but one quick [visit] to the store had a very helpful installer show me what to do. I have subsequently purchased 3 more draw units for the counter for a friends new shop & purchased the cheaper style & again was very happy.